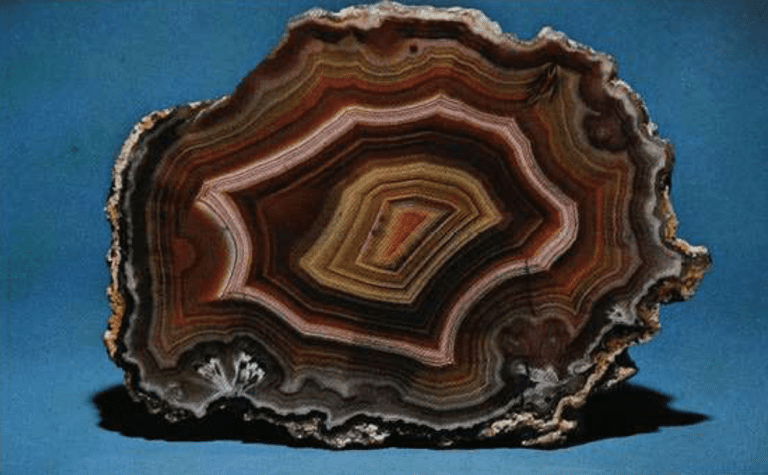 Genesis and Classification of Agates and Jaspers: a New Theory. Marco Campos-Venuti. Rome, Italy: Tophgrafia Luciani, 2012. 160 pp. 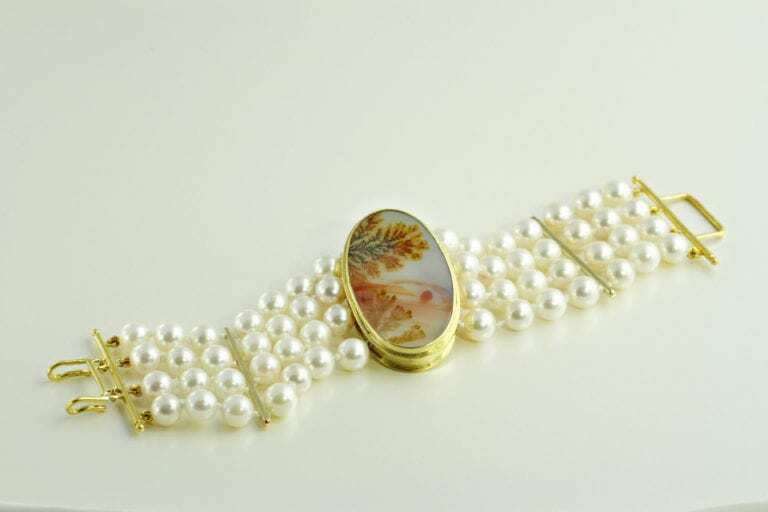 When talking with gemologists and jewelers, the topic eventually moves away from precious gems to agate and jasper stones. This never fails to evoke a new level of enthusiasm with statements like, “I love agates and jaspers. They are my favorites.” There is something about the beauty and fluidity of agates and jaspers that both enchants and mystifies. 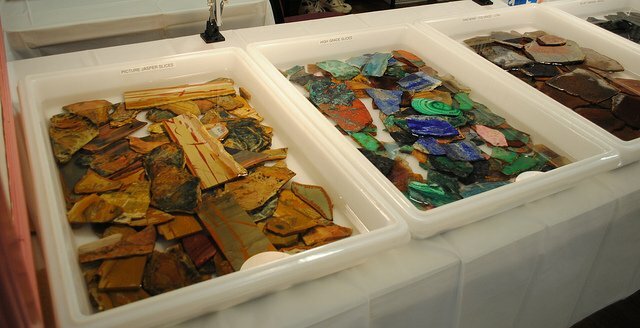 When showing studio visitors samples of newly cut agates and jaspers, the question of how these stones were formed always arises. 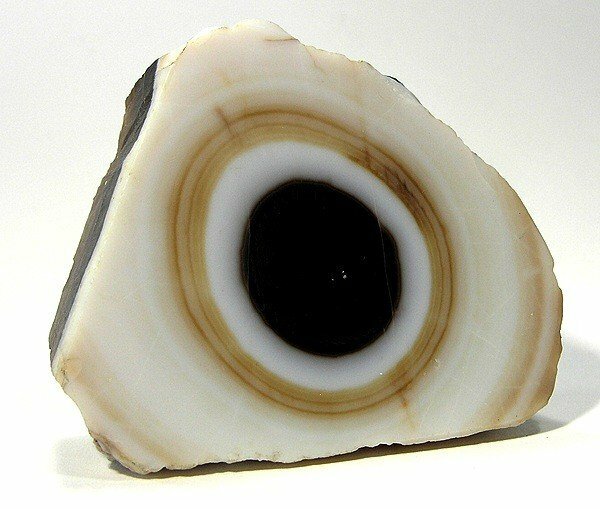 Until I read Genesis and Classification of Agates and Jaspers: a New Theory, by Marco Campos-Venuti, I would simply answer with one word: magic. 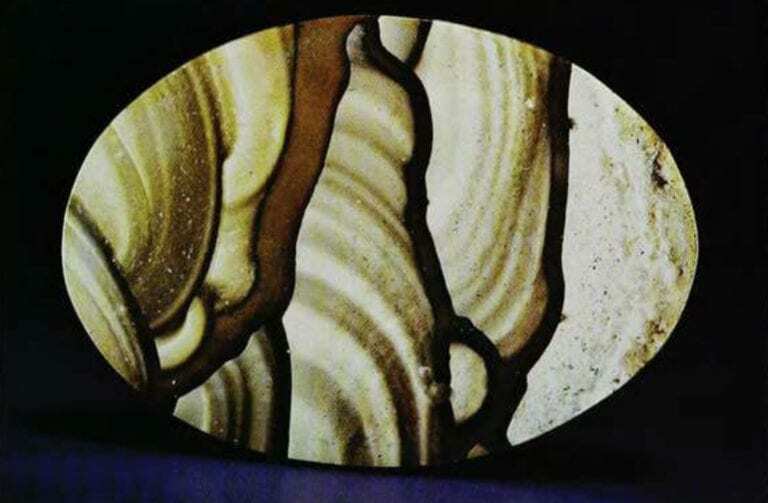 Magic is the simple way of explaining the formation of these natural wonders, but to understand the geological genesis and to see the real beauty of agates and jaspers, Marco Campos-Venuti does a wonderful job of showing the intricate steps that transform silica solutions into the stones we collect, carve, and display. 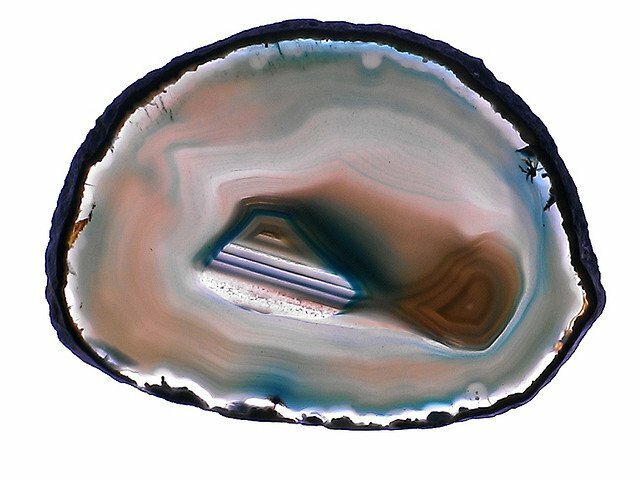 Genesis and Classification of Agates and Jaspers: a New Theory speaks to both the beginning collector and to the professional geologist. Starting with classification and moving to genesis and facies, Marco Campos-Venuti takes the reader on a journey from the basic creation to the intricate subtleties of these gems. After reading this book, I found myself revisiting my favorite agate and jasper specimens and using his explanations of their formation to decode their evolution and design. At first, I was worried that Marco Campos-Venuti’s new book would take away some of the mysterious charm of these stones. I was wrong. It only added to their intrigue. 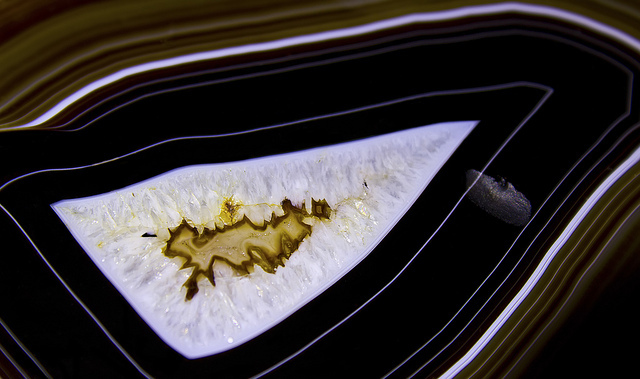 “Chalcedony (Var: Agate).” © Rob Lavinsky, www.iRocks.com. Used with permission. This book shows the breakthroughs in research and new paths to understanding the geological formation of agates and jaspers. However, that is only one of the ways that Marco Campos-Venuti addresses their genesis and classification. Although I am not one that will readily provide spoilers to books and movies, I will make an exception in this case. The photographs are a major highlight of this book. The visual examples of agates and jaspers come from some of the finest collectors and are some of the most beautiful examples I have seen photographed. I now have Marco Campos-Venuti’s Genesis and Classification of Agates and Jaspers: a New Theory sitting in my studio next to a batch of newly cut agates, poised and waiting for the inevitable question of how these stones were formed. I am now able to expose the tricks and reveal the magic. 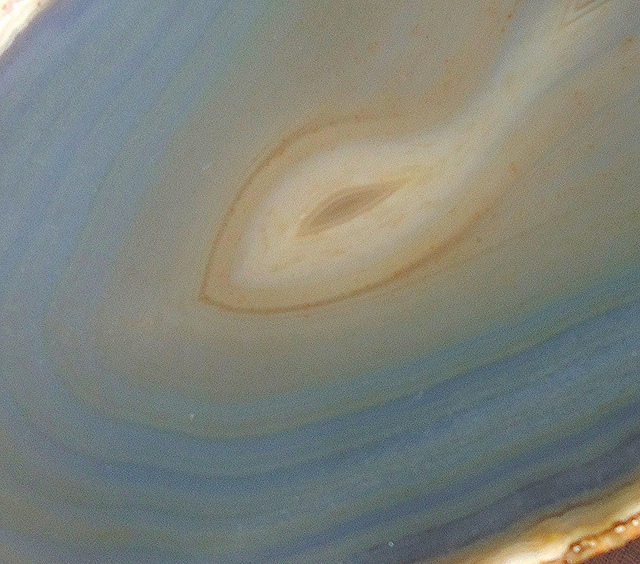 Genesis and Classification of Agates and Jaspers: a New Theory is available through eBay. 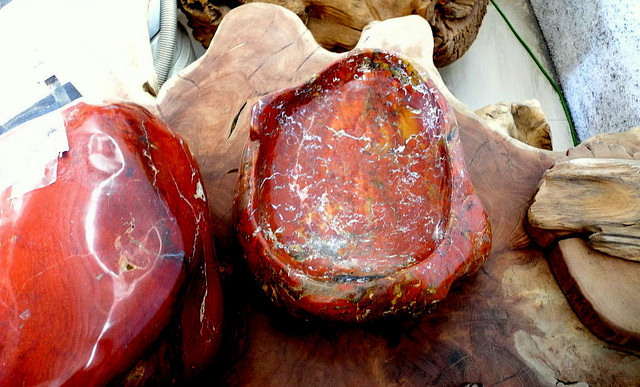 Agate stones typically form slowly in the cavities of ancient hardened lava flows. Learn where you can see this process occurring today.